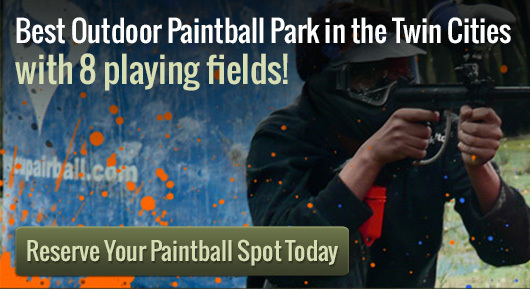 Looking to play some paint ball in MN? One of the greatest things for parties and the great outdoors is paint ball in MN, which is created for the lover of outdoor sports. This facility offers teams a great way to socialize, to party, and to interact. It offers rental packages, and open atmosphere for walk-on play, which makes it very flexible for the people who are looking for something exciting and new. Being active outdoors offers a tremendous amount of enjoyment. It’s exciting to plan for a party by using a new strategy and a new environment. By providing paint ball in MN at Action Packed, groups of people are enjoying the great outdoors in a new and unique way. Whether it is at a birthday party, or celebrating a bachelor party, the players develop their own strategy. By using a paint ball one can splash a color on their opponents. It’s very easy to play a game of paint ball in MN. Situated in the great outdoors of Minnesota, each player dresses to prepare for action. This is an action game, and each player exhibits his own personality. Once the game is started, it’s all over but the shoutin’. It’s exciting, fun, and enjoyable to the whole crowd, and even works up an appetite. Being in the outdoors with this type of activity soon brings you indoors or to our outdoor grills so you can get some food, and relive the exciting experiences which always happens after a game played; to the point of planning a new party. Walk on play and private play is available at Action Packed Paintball. We can accommodate groups of 150+. We are capable of running private games 7 days a week, dawn until dusk. Please call us at 952-492-6776 if you have any questions or if you would like to reserve a time. Please call ahead in advance, as reservations are required.